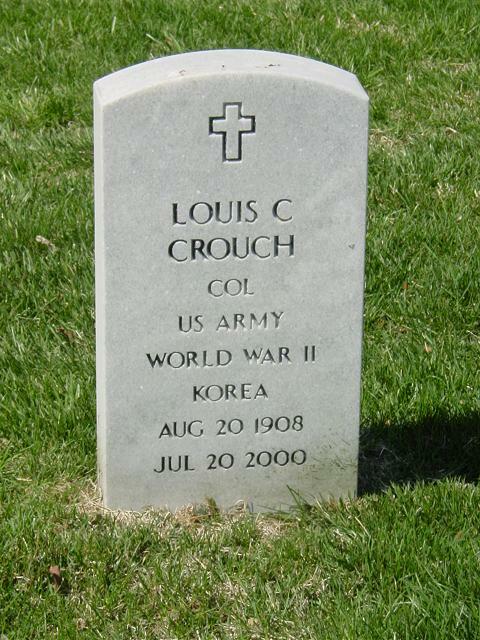 Louis C. Crouch, 91, died Thursday in Atlanta, Georgia. The graveside service will be July 31 at 3 p.m. at Arlington National Cemetery, Arlington, Virginia. a veteran of World War II, the Korean War and earned the Legion of Merit Award for logistics readiness in the Cuban Missile Crisis. Colonal. Crouch was preceded in death by his first wife, Louise Dorminey Crouch. Survivors include his second wife, June W. Crouch; one son, Lou "Butch" Crouch Jr. of Warner Robbins, Ga.; one daughter, Janet Paslawski of Alexandria; one brother, Thomas Crouch of Decatur, Ga.; and three grandchildren.